I may definitely am very biased on the subject of our staff. I think KNOW that we have one of the best teams on this planet! I'm sure there are dental staffs as good as ours but not better. Why so confident? Simple.....I hired and trained each and every one of them :) We are a team united! We (better) understand that when people need us we get them appointed as soon as possible. We give straight forward clinical advise with as many options as possible to fit their desires and budget. We let our patients make decisions that best suits them without judgment. We never EVER chastise (or scold) our patients if they haven't seen a dentist in a while, instead we welcome them back and pick up wherever they left off. I could go on and on for days about why I think we are an exceptional dental team and office. Ultimately...you'll just have to see for yourself if I'm crazy. Feel free to browse each of our short introductory bios below. I hope my staff doesn't make me a liar if we get to meet you!! It's been a challenge (to say the least) for us to find a replacement Prosthodontist when Dr. Wilkins announced his retirement. Many of our patient have been seeing him for over 35 years. As with many things in life a combination of luck, timing and fate helped us land Dr. Rawal. When Dr. Wilkins himself gave Dr. Rawal the “nod” of approval.... we knew this was our man! Sundeep grew up on the east coast of Florida and has dentistry deep in his blood being a second generation dentist (his dad is a prosthodontist as well). He now lives in Central Florida with his wife and two daughters. Dr. Rawal is a National lecturer for the worlds largest dental implant company, Nobel Biocare the worlds leader in dental implant research and innovation. I actually first met Sundeep when he was lecturing for an implant study club. As such he is extremely well versed and trained in the science of dental implants and all that they have to offer for our patients. 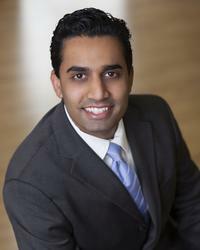 Dr. Rawal completed dental school at the University of Florida. He then competed a 3 year specialty training program in Prosthodontics at the prestigious UCVHS program in San Francisco, the home of the current NBA champions the Golden State Warriors. If you see him working in his “Stephen Curry” NBA jersey please don't be surprised. We're all very excited to add Dr. Rawal to our already stellar office team. We are confident he will be a great asset to the greatest patient on earth (OURS)! 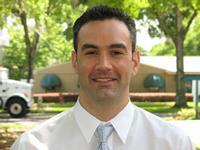 Dr. Steven Schmid grew up in Melbourne, Florida and attended Florida State University. He received his Doctor of Dental Surgery degree from the University of Michigan in 2011. He then completed a General Practice Residency at Loyola University Hospital in Chicago in 2012, where he received additional training on treating medically compromised patients. Dr. Schmid then spent two years in private practice in Portland, Oregon. His interest in dental implants, digital dental technology, and his desire to perform full mouth rehabilitation for complex cases lead him to return to the University of Michigan where he received his certificate in Prosthodontics in 2017. Mary Ann is the longest standing member of our team, starting with this office 22 years ago! Although my name may be on the front door, it is rumored that she is actually my boss, and I don't deny or confirm that rumor. I think from her picture you may be able to guess out where Mary Ann grew up. She has been married to Steve for 26 years and is the proud mother of two sons, Tom and Nick. She is an Ohio State graduate and a Buckeye thru and thru, so Gators beware!!! Patients have been known to nickname her "butterfly hands", as she is known for her incredible care and soft touch. The only complaints we receive about her, are that it's too tough to get an appointment with her as she has become very popular over the years. On her spare time she and her husband go to car shows where her husband is a judge and a certified care buff. She has families that she has been treating parents all the way down the family tree to grandchildren for 22 years now!! 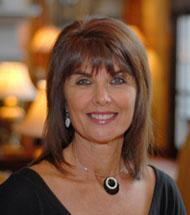 Debbie has been working as Dr Hawley’s dental hygienist for over 30 years. I’m NOT calling her old, she just started with him when she was very young. If you are reading this bio and are a patient of Dr Hawley’s then she has most likely treated you, your parents, your cousins, brothers, kids, nephews, grandparents….you get the point. When Dr. Hawley and I merged our office I was naturally getting to know the patients. I would ask Debbie if she knew anything about the patients for the day and boy, did I get an ear full! She could tell me who was married to whom, how many children they had, what colleges they go to (hopefully the RIGHT one...we all know what a big GATOR fan she is! ), where they went on their last vacation, what their favorite color is, and of course, what flavor tooth paste they like!! I think you get the idea of how that conversation went down. I couldn’t believe how much and how incredibly well she knows her patients. Her relationship with all her patients is about as close to an extended family as possible. It’s clear to me her job is an extension of her life and that’s truly admirable. She truly loves her job and is an exceptional hygienist and an even better person. She has two grown children with 4 grandkids between them and spends her weekends spoiling them. In her spare time, she enjoys cooking and baking and bakes a MEAN carrot cake whenever we have birthdays at the office. Lizette has been working here as a dental hygienist for a little over 2 years. She was born in Puerto Rico and immigrated to the US as a teenager. Ever since moving to the states she claims that she has yet to taste the Puerto Rican dessert “Arroz Con Coco” (candied coconut rice) nearly as tasty as what she has back home. Apparently, she has tried every restaurant in town and nothing has come close. So if you’re reading this and think you can help us find this elusive dish…PLEASE LET US KNOW!! When she’s not hunting around for her favorite dish she may be chasing around her son. I say this because he is an amateur race car driver. When she drove his car to work one day I thought maybe Dale Earnhardt was here for a dental visit. She was certainly not late to work that day. Lizette works with us 2 days a week, Mondays and Tuesdays. She also works part time for a local periodontist Dr. Michael Abufaris. Her mild mannerism and nature makes working with her an incredible joy. Should you need tips on how to outrun the police she may be able to help with that as well. Fiorella has been with our practice since spring of 2014. As you can see from her picture she is a strong believer in world peace, and the number 2. and we love her for that! Fiorella was born in Ecuador and raised here in Central Florida. She is always cheery and in a good mood. When it came time to take pictures she wanted to take a "fun" photo as you can see. It was so popular among the staff that everyone demanded they retake their photo for a "fun" picture. Once again proving to me how much more creative my staff is than me. It was a humbling day! Fiorella works part time and also started to the hugely popular Friday appointments. So if your planning to get your teeth cleaned on a Friday you will likely meet her if then if you have not yet.